Global sea surface temperature (SST) anomalies can affect terrestrial precipitation via ocean-atmosphere interaction known as climate teleconnection. Non-stationary and non-linear characteristics of the ocean-atmosphere system make the identification of the impact teleconnection signals on precipitation variability difficult to be detected at a local scale as it could cause large uncertainties when using linear correlation analysis only. This study explores the relationship between global SST and terrestrial precipitation with respect to long-term non-stationary teleconnection signals during 1981-2010 over three regions in North America and one site in Central America. Empirical mode decomposition as well as wavelet analysis are utilized to extract the intrinsic trend and the dominant oscillation of the SST and precipitation time series in sequence. After finding possible association rules between the dominant oscillation of seasonal precipitation and global SST through lagged correlation analysis, the statistically significant SST regions are extracted based on the correlation coefficient. With these characterized associations, relative contribution of these SST forcing regions linked to the related precipitation responses are further quantified through the extreme learning machine. Results indicate that the non-leading SST regions also contribute a salient portion to the terrestrial precipitation variability compared to some known leading SST regions. In some cases, these estimated contributions reveals some new clues of the coupling interactions between oceanic and atmospheric processes. These clues may be used to aid in precipitation forecasting in the end. Ni-Bin Chang is the Professor of Environmental Systems Engineering having held this post in the USA since 2002. He received a B.S. degree in Civil Engineering from National Chiao-Tung University in Taiwan in 1983, and M.S. and Ph.D. degrees in Environmental Systems Engineering from Cornell University in 1989 and 1991, respectively, in the U.S. He is the director of the Stormwater Management Academy and a professor with the Department of Civil, Environmental, and Construction Engineering at University of Central Florida in the U.S. He is a Professional Engineer in the US with over twenty years’ experience in research, teaching and consulting. He is an elected Fellow of the International Society of Optics and Photonics (F.SPIE), the American Society of Civil Engineers (F.ASCE), the Royal Society of Chemistry (F.RSC) in the United Kingdom, and the American Association for the Advancement of Science (F.AAAS). He is also a Foreign Member of the European Academy of Sciences (M.EAS). Prof. Chang has been working on the core area of “Environmental Sustainability, Hydrological Analysis, and Earth Systems Science” with various socio-technical approaches. His recent work has focused on developing smart and green environmental technologies for climate change assessment and municipal infrastructure management with the aid of satellite remote sensing, big data analytics, decision support systems, soft computing, and machine learning. Prof. Chang has served on a number of professional and government positions. Prof. Chang served as the program director of the Hydrologic Sciences Program and Cyber-innovation Sustainability Science and Engineering Program at the National Science Foundation in the U.S. from 2012 to 2014. He has served as an expert on different panels to review proposals and address research needs. Prof. Chang has lectured extensively abroad and has given research presentations at many institutions over Canada, Nicaragua, China, Germany, the United Kingdom, Hong Kong, Japan, Singapore, Portugal, Nicaraugua, and Taiwan, In additional to his active research work in the US, he has collaborative research activities in Asia, Central America, Austrailia, and Europe. He has received many awards, including Fulbright Scholar Award from the Department of State in the US; Outstanding Achievement Award from theEnvironmental and Water Resources Institute (EWRI), ASCE; Distinguished Chair Professorship, National Science Council, Taiwan; Bridging the Gaps Award from the Engineering and Physical Sciences Research Council (EPSRC) in the United Kingdom; and Distinguished Visiting Fellowship from the Royal Academy of Engineering (RAE) in the United Kingdom. 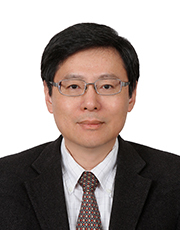 Prof. Chang has been an editorial board member of 30+ international journals, including the SPIE Official Journal of Applied Remote Sensing (Editor-in-Chief).